Warning: China say 13 thousand ” terrorists ” ( but not terrorists ) have been arrest in Xinjang, China. “China is deliberately distorting the truth,” uyghur group said. “Counter-terrorism is a political excuse to suppress the uighurs. 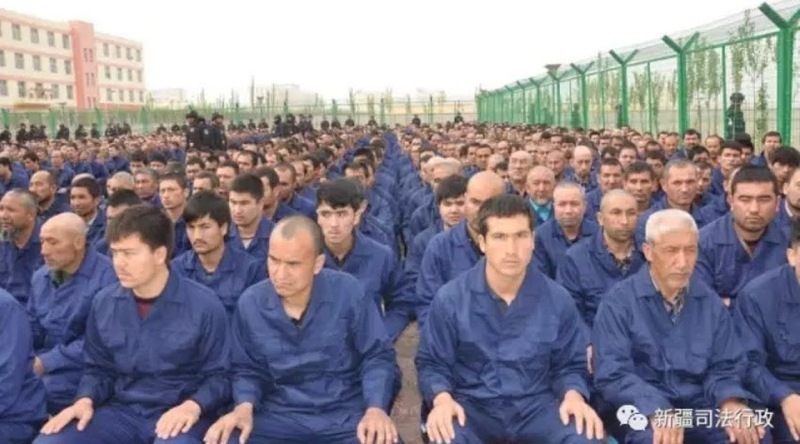 the real aim of the so-called de-radicalisation is to eliminate faith and thoroughly carry out sinification.”They say they put the terrorists in a vocation training camp, but really they put muslims and uighurs there in prison – concentration camp, un expert say. Beijing want to defend it’s extreme de-radicalisation measures. they say they have terrorist threat. the terrorist are the chinese, putting more than 1 million muslim and uighurs in detention centres like this and arrest them for nothing. I hope for a day when they can be freedom.